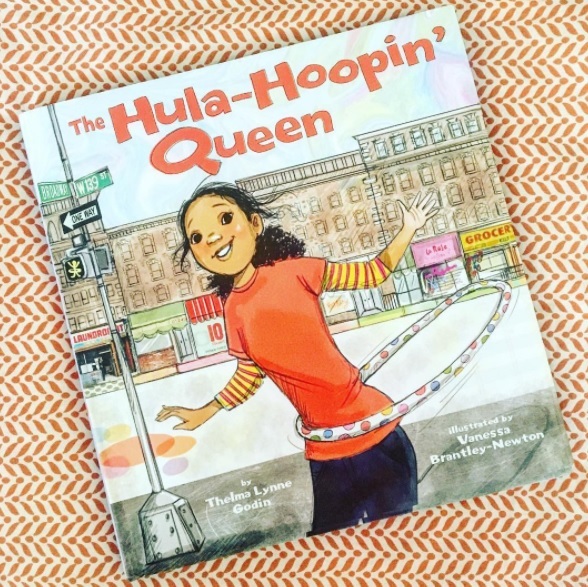 My newest Big Apple Book takes place in Harlem on West 139th & Broadway, home of The Hula Hoopin' Queen by Thelma Lynne Godin. Love this story! Kameeka, a spunky gal who is desperate to win a neighborhood hula hoopin' contest, forgets that she needs to help her mother prepare for a birthday party for their beloved neighbor, Miz Adeline. While she helps mama with chores, she gets distracted and ends up being sent to the grocery store for a missing cake ingredient. Long story short, Kameeka ends up learning an important lesson about responsibility, while also discovering a secret that Miz Adeline has been hiding. Love the characters and illustrations in this book. The perfect gift for a little hula hooper in your life!